* The definition of part-time is 20 hours per week if you are studying a course at or above SCQF level 9 (i.e. degree level). Since 6 April 2017, ‘week’ has been defined in the Immigration Rules as “a period of 7 days beginning with a Monday”. If you work irregular hours and/or have more than one employer, you will need to keep detailed records of how many hours you work each day so that you can be sure that you are not in danger of breaching your work condition by exceeding 10 or 20 hours in any seven-day period, starting on a Monday. ** The term full-time is not defined but you should work on the assumption that it is around 35 hours in any seven-day period. ***Students on the BA Modern Ballet programme, BA/MA Musical Theatre programmes, and students on courses of study within the School of Music are permitted to be employed as entertainers only if the work is arranged via the Royal Conservatoire’s External Engagements department and the opportunity is an assessed part of the student’s course. Students on any other programmes of study cannot be employed as entertainers. If a Tier 4 student wishes to take part in entertainment as an amateur then this permitted. ‘Amateur’ is defined as “a person who engages in creative activity solely for personal enjoyment and who is not seeking to derive a living from the activity”. A Tier 4 student taking part in entertainment as an amateur cannot be in receipt of payment of any kind, including expenses. More information can be found at UKCISA – What kind of work can you do? and How many hours can you work? As long as you abide by the above conditions you do not need to notify UK Visas and Immigration or the Conservatoire of your employment. You can also work full-time once your course has finished and you still have valid leave to remain, however, you must not break the conditions laid out above as this will be dealt with severely by UK Visas and Immigration and could affect the success of any future UK immigration application you may wish to submit. 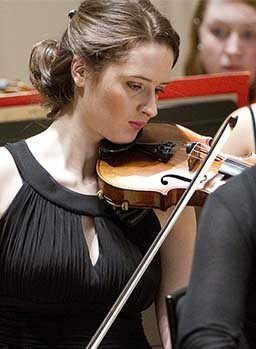 It is important to stress that although Tier 4 students are permitted to work (within the regulations noted above) the Conservatoire’s programmes of study are very intensive and you may not have time to work. You shouldn’t rely on securing employment to top-up your living expenses. If you are planning on working when you study with us you will need to check that you meet the requirements for the Tier 4 (General) Student Visa. If you do meet those requirements you will have to make an application for a Tier 4 (General) student visa in your home country. You cannot switch from being a short-term student to the Tier 4 (General) route whilst in the UK. ****Voluntary workers often have a contract of employment and are also usually remunerated in kind whereas volunteers don’t have a contract of employment, don’ t take the place of an employee, do not receive payment in kind and usually help a charity or voluntary organisation. You will have to pay income tax if you earn more than a specified personal allowance in any tax year as well as National Insurance. The Low Income Tax Reform Group has produced a special information guide on income tax for international students.